Had Pleasant Smith Humble chosen a spot further up the San Jacinto to operate his ferry his namesake city might have had a very different history. But he didn’t. Humble too often finds itself ignored, lumped in with a dozen or two other Texas towns that skirt the great Houston metropolis but unlike most, Humble is a city in its own right with many things to offer. Humble was founded a century and a half ago, not too long after its massive neighbor to the south. Its early history parallels that of most every other East Texas town: timber boom and bust, oil boom, truck farming. It’s the home town of Howard Hughes and the birthplace of Humble Oil, once a major producer of Texas Tea. It remained a relatively quiet stop on the way to Houston down U.S. 59 until 1969 when the Houston Intercontinental Airport, now called George Bush Intercontinental Airport, opened next door. The airport drew Houston north and opened up a massive window of prosperity for Humble even as it changed its status to that of a suburb. Humble’s location drew business and enterprise to it like a magnet. It became one of the finest residential refuges from Houston proper with every convenience one could ask for.Deerbrook Mall and the hundreds of shops and restaurants along FM 1960 and U.S. 59 provide everything anybody could want. Folks from “up north” in the Piney Woods often stop in Humble and say they’ve gone “shopping in Houston!” Not good for name recognition but great for business. Humble isn’t just sidewalks and store-fronts, however. It’s almost ten square miles of Texas turf and home to 15,000 Texans. Citizens of Humble certainly take pride in Humble’s heritage but they also enjoy the gifts of proximity: access to state of the art medical services, high quality schools, recreation opportunities and more, either within the city or very close by. Humble isn’t just a good place to shop or eat. Humble boasts an exceptional civic center and arena complex where something is going on all the time from concerts to cat shows, trade days to circus performances. The Humble Museum on Main Street keeps residents in tune with Humble’s humble beginnings. 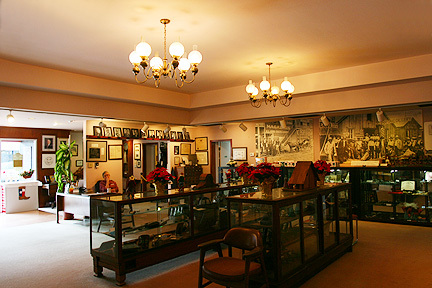 One very unique property owned and presented by the Humble Museum is a little medical clinic on North Avenue C, the McKay Clinic Medical Museum. Shown by appointment to small groups, this museum gives a peak into how different the medical profession was less than a lifetime ago. Like most cities, Humble has several parks which offer a modicum of escape from the urban jungle. There’s one place in Humble that offers folks a few steps further into the wilds, however. That place is the Mercer Arboretum and Botanical Gardens, located on FM 1960 just north of the airport. It’s there that a ‘whole other side of Humble can be found! 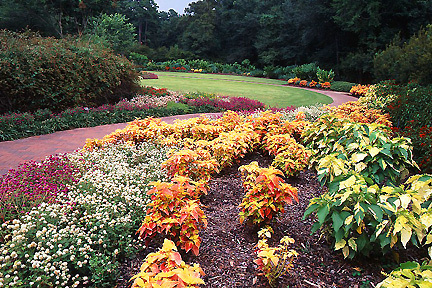 Operated by the Mercer Society, Mercer Arboretum and Botanical Gardens began as a 14.5 acre refuge for horticulturalist Thelma Mercer and her husband Charles. Thelma planted and maintained both native and imported species of plants and trees. She relied upon her husband’s skills to develop a true nature conservatory. The Mercers sold the land to Harris County to keep it out of the hands of developers. Since then, due to the efforts of local gardeners, Thelma’s little woodland paradise has grown to a 325 acre tribute to nature. Mercer Arboretum is on the west side of Aldine Westfield Road, a street that separates the complex into two parts. On that side are walking trails, a picnic area, and public facilities. East of Aldine Westfield lays the main parts of the complex, the Botanic Gardens and Visitor Center. The east side is also has classrooms, a library, a greenhouse/nursery, and other buildings. But one doesn’t visit the Mercer Arboretum and Botanical Gardens to find buildings. It’s the thirty magnificent garden displays that draw nature lovers from all over to the facility. 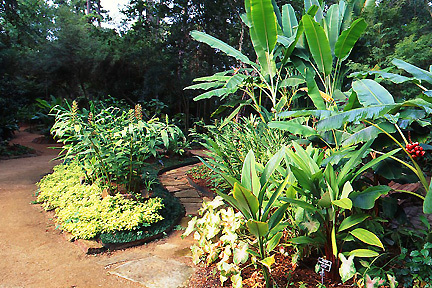 There’s hardly room to describe even a portion of what is on display, gardens of herbs, bamboo, tropical plants and native species, all wrapped up in a very nice, leafy package for all to enjoy. One can get lost on the meandering trails of the Mercer legacy but all who calls Humble home will find themselves living within short distances of an incredible array of other things to do, too. True Texas primitive, the Big Thicket, is barely an hour away to the northeast. Sand, surf and Sun is about the same distance south. Of course the Metro area provides countless alternatives. 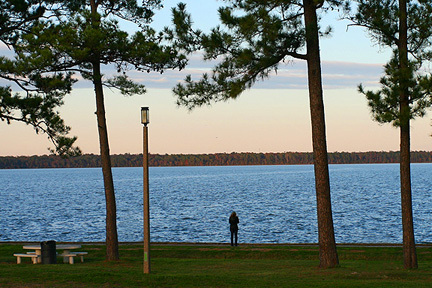 Closest to home and just outside the city is another great outdoor destination: Lake Houston. The Mercer gardens focus on reflection. Lake Houston is more geared towards action! Lake Houston is a twelve thousand acre lake a stone’s throw east of Humble. 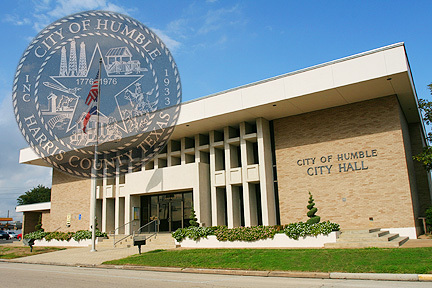 The City of Humble is a prominent member of the Lake Houston Chamber of Commerce, an organization representing half a dozen communities near Lake Houston , an area considered one of the fastest growing in Texas. 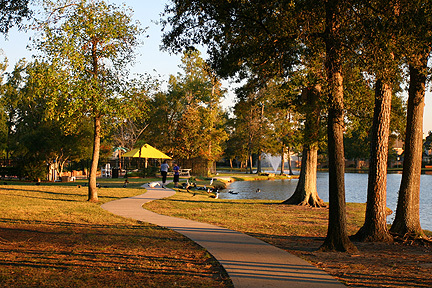 Although the lake itself does not lie within the city of Humble the Lake Houston Area plays an important part in growth and development of the city. 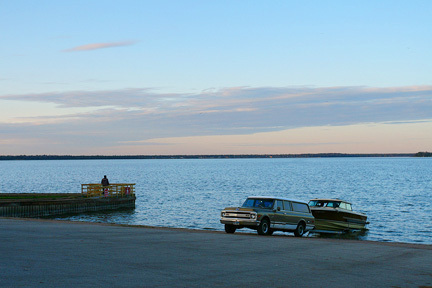 And besides, being only five minutes away the lake is an excellent place to have a little fun! Just north of Lake Houston is Lake Houston Wilderness Park. The park is maintained by Houston Parks and Recreation. It offers all the kinds of outdoorsy stuff Texans love to do like fishing, boating, canoeing, picnicking, or even camping. There’s a nature center and group lodges available there too. Many suburban towns are mere bedroom communities for a metropolis rising in the distance. Houston has a number of those on all sides. Humble is not one of them. It’s not just a place to “stay.” Humble is a city in its own right, a destination in itself, and most important, it’s a great place to live. For those who love Houston but want to keep just a bit of distance Humble is an excellent choice in the Houston area. Old McDonalds Farm - 15 acre children's paradise with petting zoo, pony rides, train ride and swimming pool.